SurgiMab was created in July 2011 by a team of four comprising an oncology surgeon from Montpellier Cancer Institute (ICM) and a research director in INSERM, specialized in therapeutic antibodies, together with two executive Biotech specialists. The imaging technology developed by the company is a diagnostic technique. It will however influence surgeons’ interventions and will thus directly contribute to the improvement of the vital prognosis of patients. This approach introduces a therapeutic dimension within the current strategies for early detection of cancers. The company is currently raising money to accelerate the clinical development of SGM-101 both in Europe and in the US, and carry its second product to the clinic. The Image-Guided Surgery group at Leiden University Medical Center (LUMC) and Centre for Human Drug Research (CHDR) actively participate in the development of fluorescent probes. 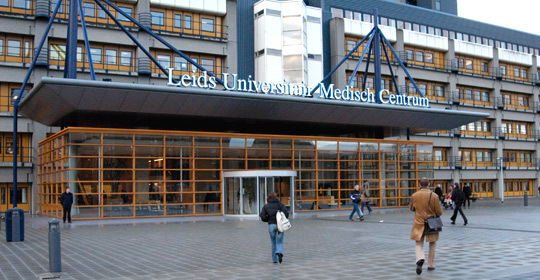 The Image-Guided Surgery group at LUMC focuses on preclinical and clinical studies on fluorescence based imaging and image-guidance in cancer surgery. CHDR specializes in data-intensive early-phase drug studies focused on rapid and rational translation in virtually all therapeutic areas including diagnostics. CHDR also develops the required pharmacokinetic-dynamic modelling required to optimize detection of tumor tissue. The departments of Pathology, Radiology, Endocrinology, Image Processing and a GMP facility provide essential support for probe development, preclinical and clinical validation. This unique combination of broad clinical expertise, a GCP-compliant research infrastructure, and the favorable regulatory environment in the Netherlands is the basis for many successful projects. The principal investigator of the study Dr. Alexander Vahrmeijer is excited about the current study “image guided surgery has entered a new era in which real applications in practice are within reach. Our combined effort of surgical oncologists with a world class drug development group as CHDR is unique in the world and opens enormously exciting visions that bring important medical interventions closer to the clinic”.